So details on the next Assassins Creed game have been revealed. Looks pretty cool. I’d definitely get it on sale. And I really hope they remake the first one and make it less repetitive, maybe add in some of the features of later games. It’ll be nice to go back to Assassin’s Creed, I didn’t buy syndicate but I did buy Unity when it came out years ago. Hopefully it’s worth the wait, and it’s not too similar to Far Cry Primal with the use of spears and shields only. Let’s hope it has some variety to it. I haven’t played AC since the Ezio Trilogy. But I’m keeping a close eye on this game, it seems interesting. I am waiting for literally ANY game set in there. 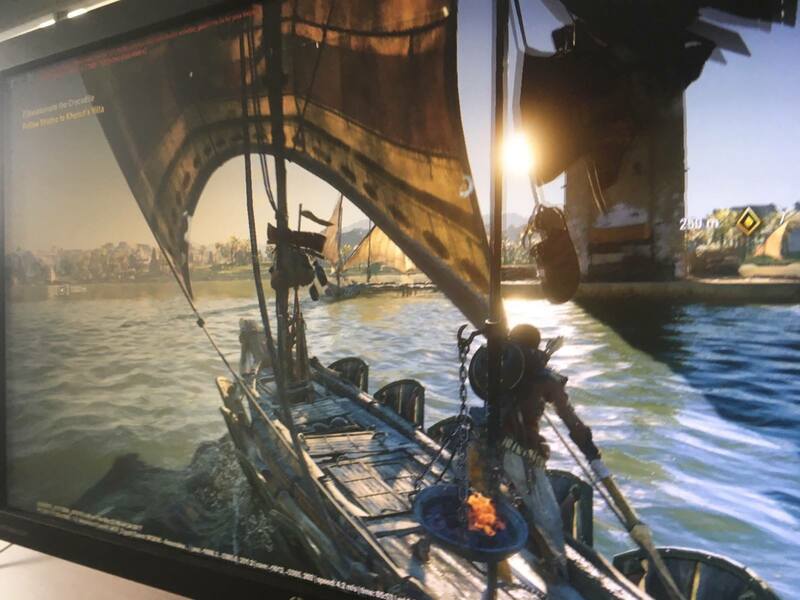 If the AC fans say it is finally a good one again, it might be the first I will buy. Looks like a Black Flag and Syndicate combined replica. If the gameplay is any different from Assassin’s Creed 2 (which is the template for every following game) then maybe I’ll try it out. Haven’t played AC since Revelations because gameplay got so mindnumbingly boring with its automated parkour and 1 button combat. I would like something classic over something entertaining. AC2 was the best lf the franchise, then it all got so simple with the assassin disciples you could call, sealth being less and less mandatory, automated parkour, killstreaks, deadly counters… etc. I know many people think highly of AC4 for how entertaining it was, and it was. But it was not what I expected and I did not like that. We’ll see how this turns out and wether or not do I have the money for this. These were my exact words! Hopefully the game is good and makes us take them back. But it’s never happened before. Play Unity. Much better and a lot more challenging as stealth is the primary objective and getting into large battles is not recommended (unless you wanna die, of course). “Origins” is just such an uninspired subtitle these days. Is it official that the name is origins? Cuz syndicate and unity both had different names leaked which turned out to not be what they originally were named. That’s pretty interesting, when I was into this franchise I hoped there would be an ‘Origins’ one set in the ancient past. That game was a blast though. i am not happy with the assassin’s creed series ever since they killed off desmond. love him or hate him, i wanted an assassin’s creed in the modern era. AC2 hinted at that when desmond MISTER MILES was fighting the abstergo goons in the credits. Remember that this was a franchise that was ment to have 3 games but was so profitable that they tossed it all away. Originally the abstergo satellite was going to be a thing, and Desmond would have been able to trigger the bleeding effect at will and possibly time travel.